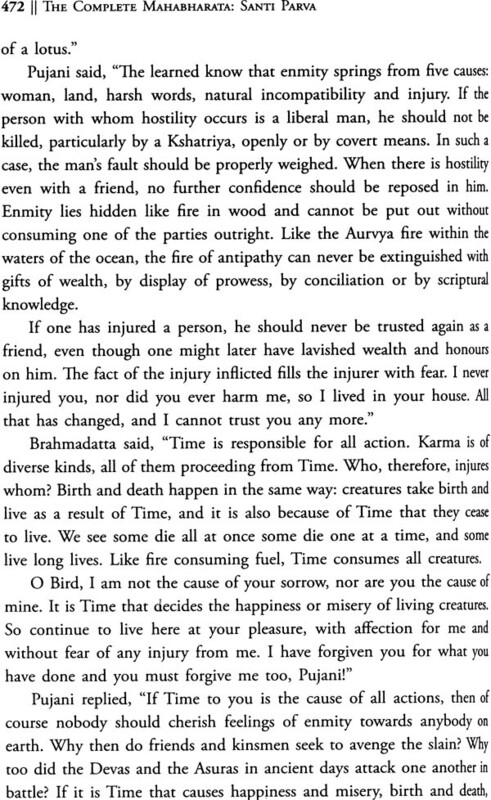 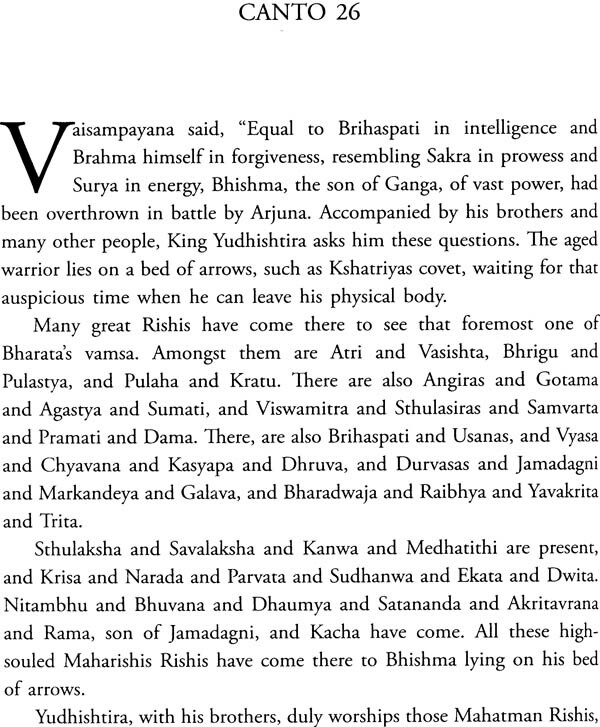 THE MAHABHARATA of Veda Vyasa is the longest recorded epic in the world. 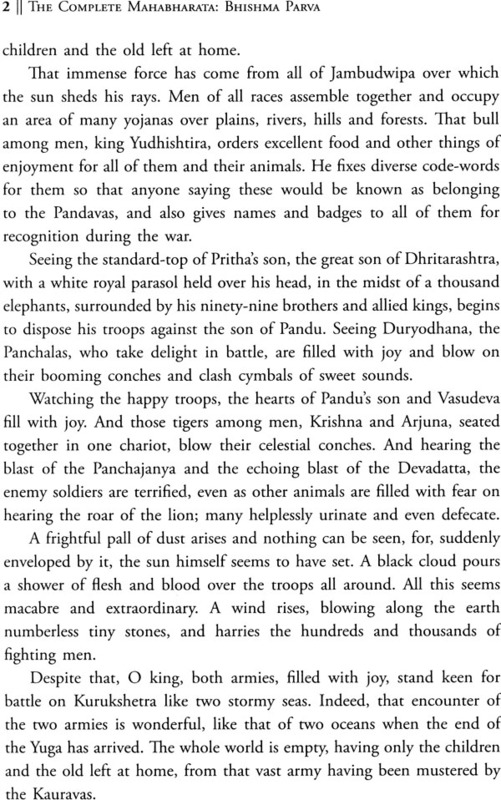 With almost 100,000 verses, it is many times as long as the Iliad and the Odyssey combined and has deeply influenced every aspect of the Indian ethos for some 4,000 years. 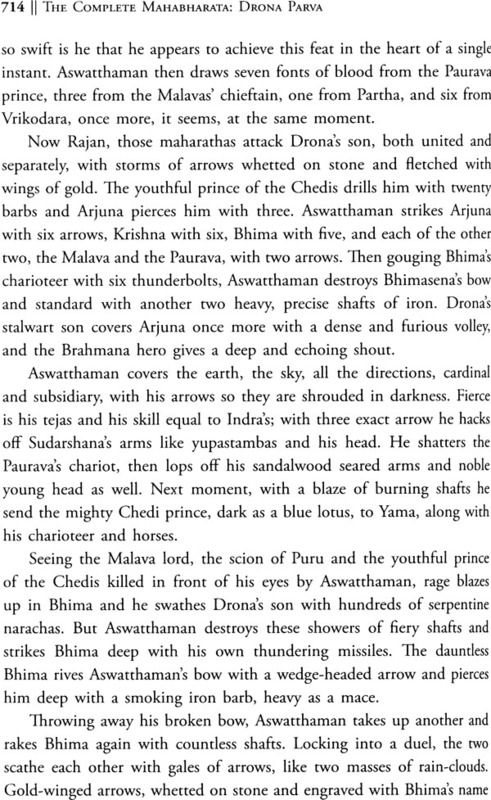 The main theme of the epic is the Great War in Kurukshetra, but it teems with smaller stories, and other stories within these, all woven together with a genius that defies comparison. 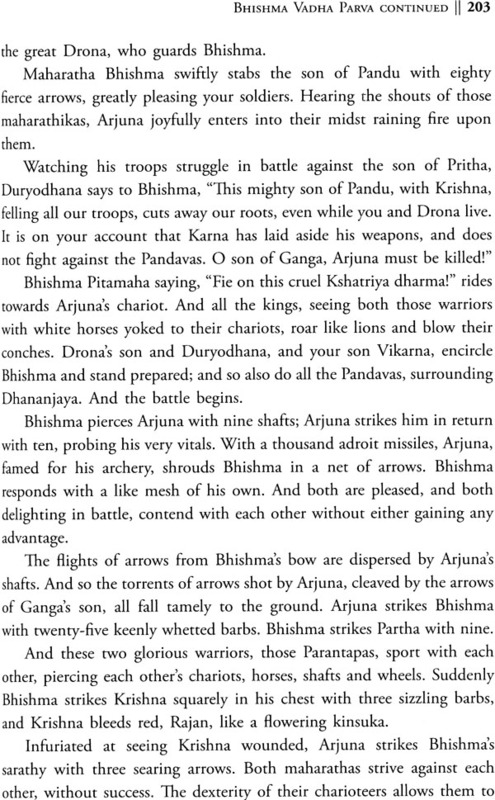 As its heart, it contains Krishna's immortal Bhagavad Gita, the Song of God. 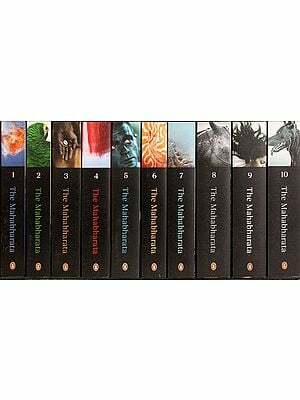 Many believe this most magnificent epic to be the greatest story ever told. 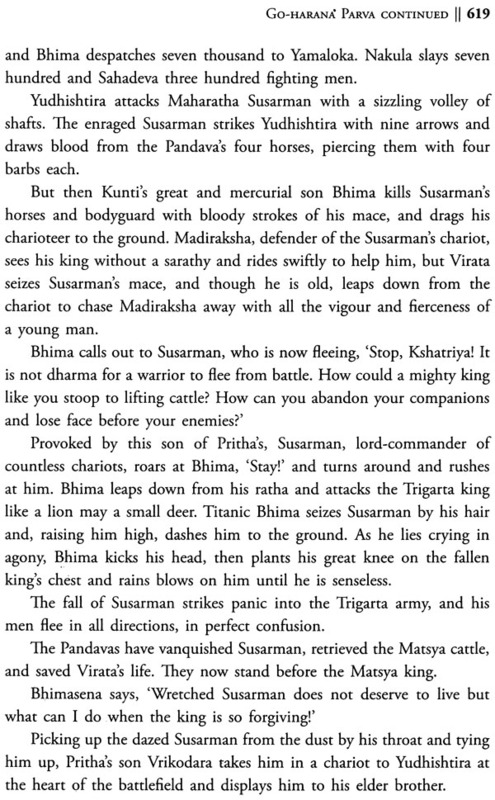 Yet, the only full Indian translation of the Mahabharata into English is the one penned in the 19th century by Kisari Mohan Ganguli. 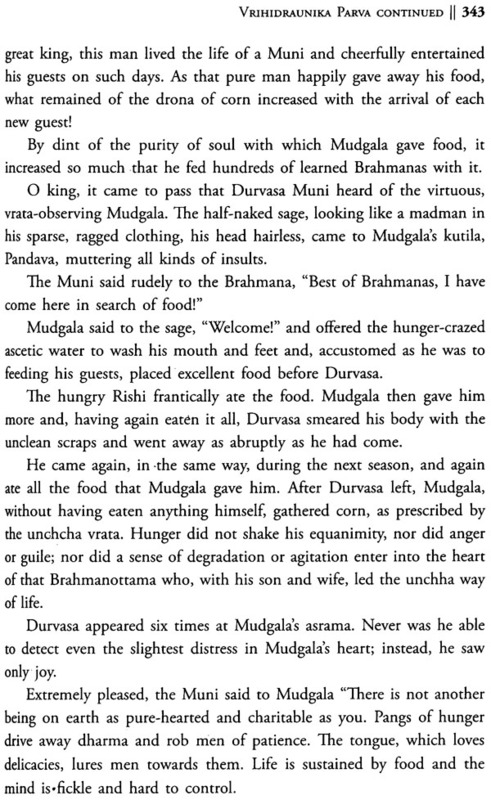 More than a hundred years have passed since Ganguli accomplished his task, and the language he used is now, sadly, archaic. 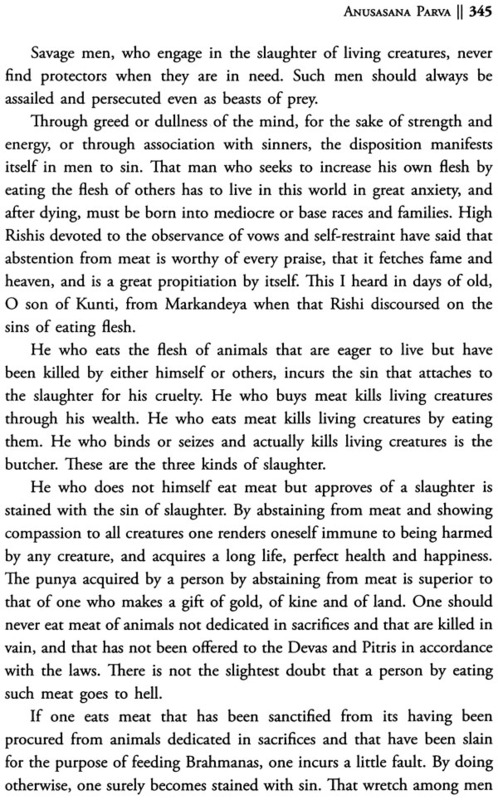 Ramesh Menon was born in 1951 in New Delhi. 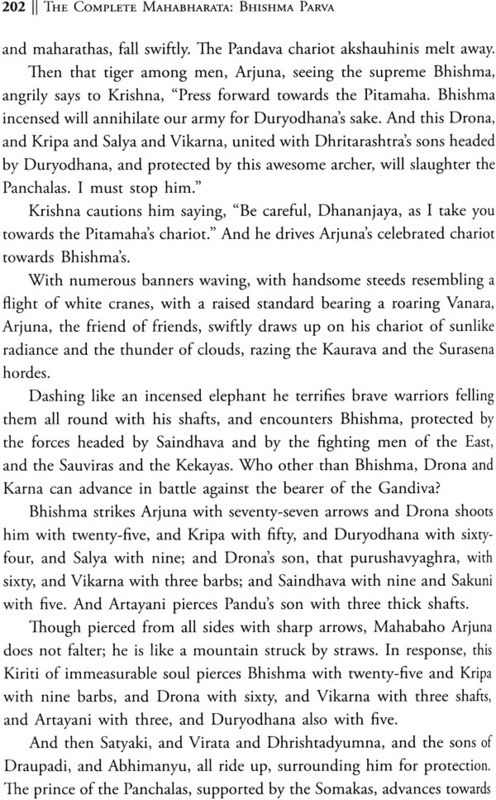 He has also written modern renderings of the Mahabharata Ramayana, Srimad Bhagavad Gita, Siva Purana, Devi Purana and Bhagavata Purana. 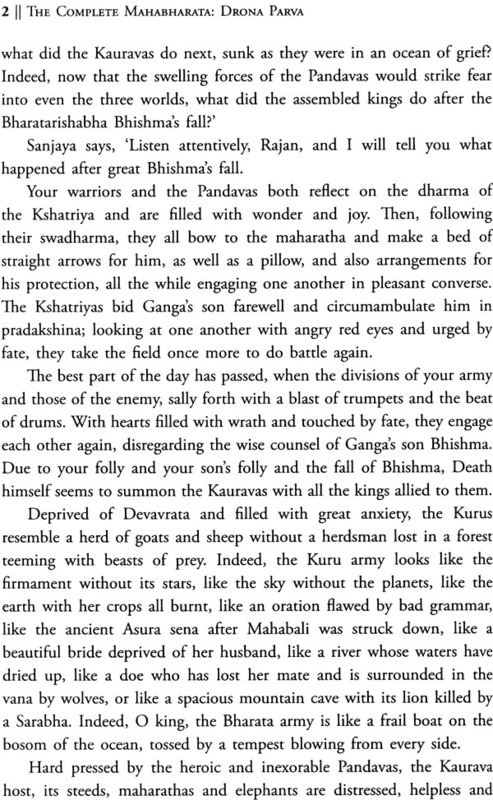 The last complete version of the Mahabharata to be written in India in English prose was the translation by Kisari Mohan Ganguli in the late 19th century. 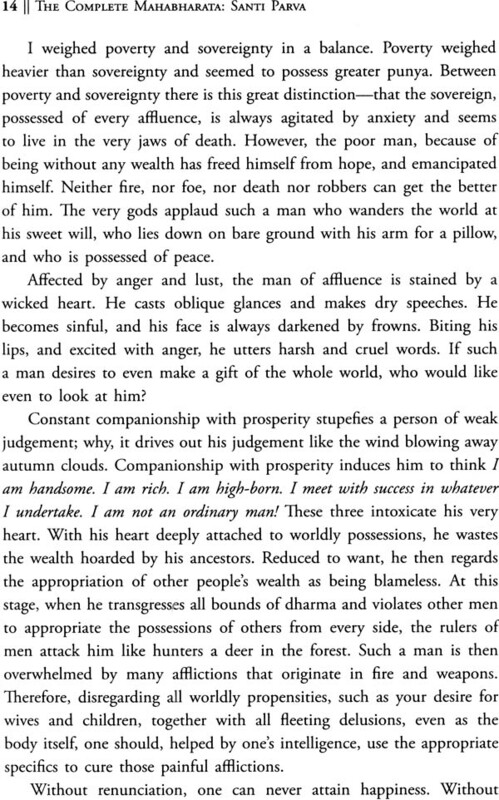 He wrote it between 1883 and 1896. 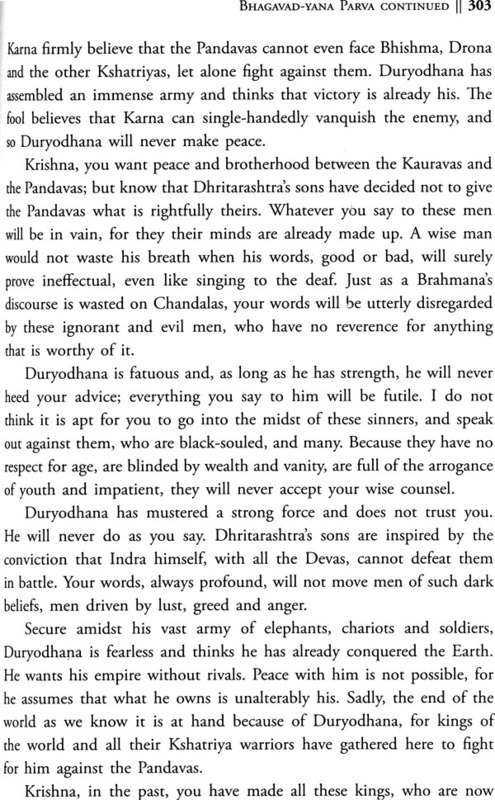 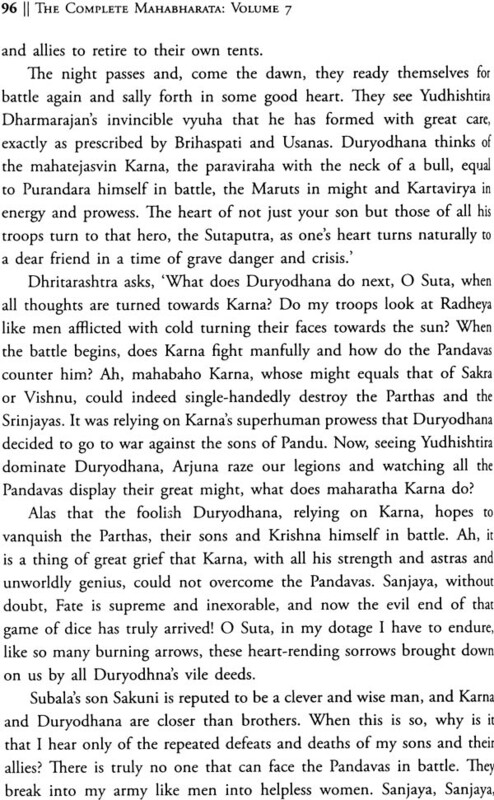 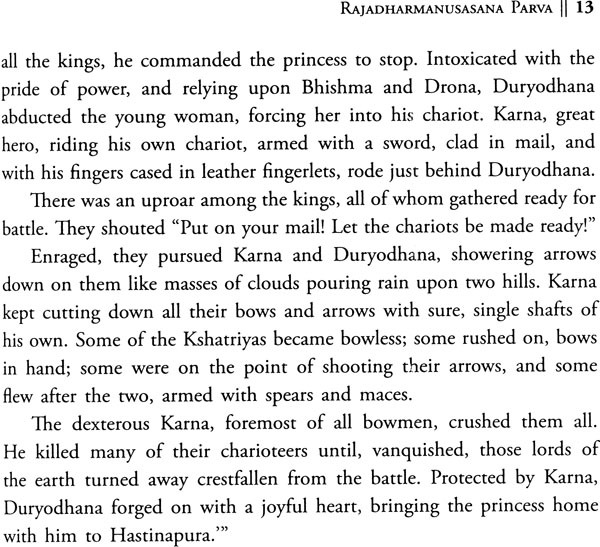 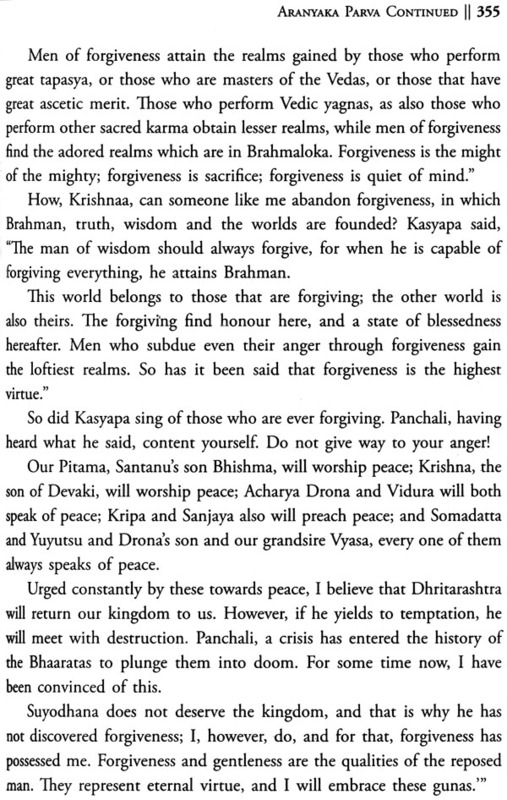 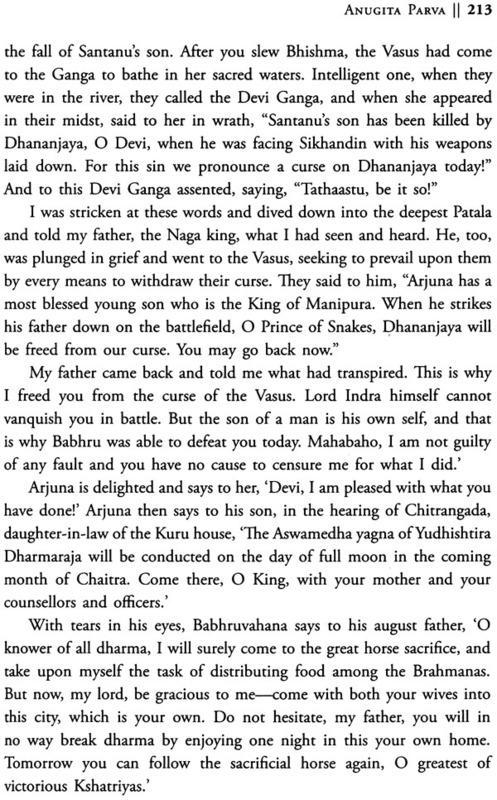 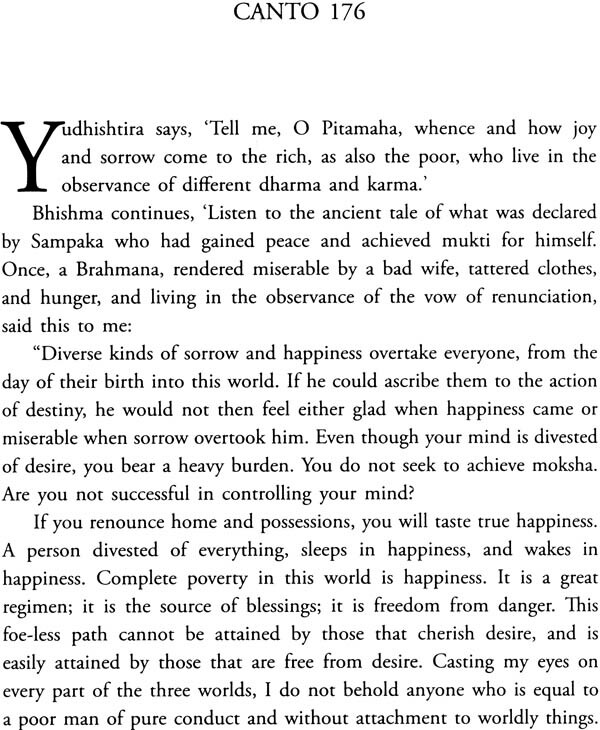 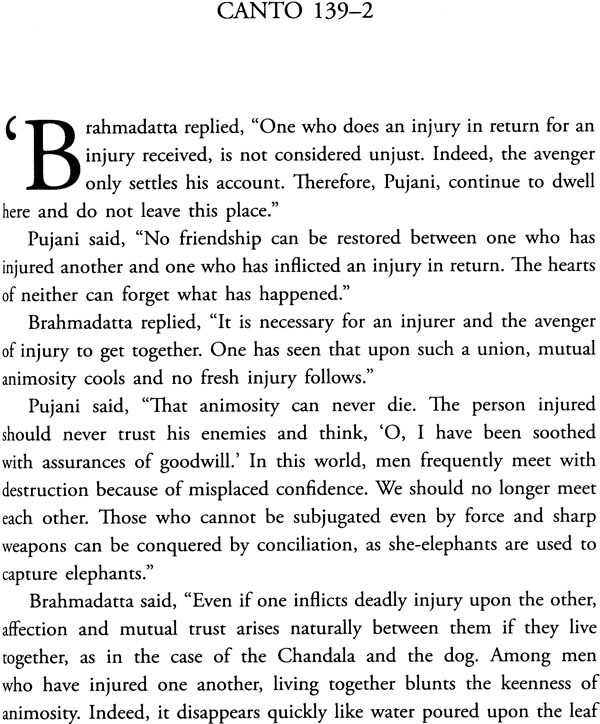 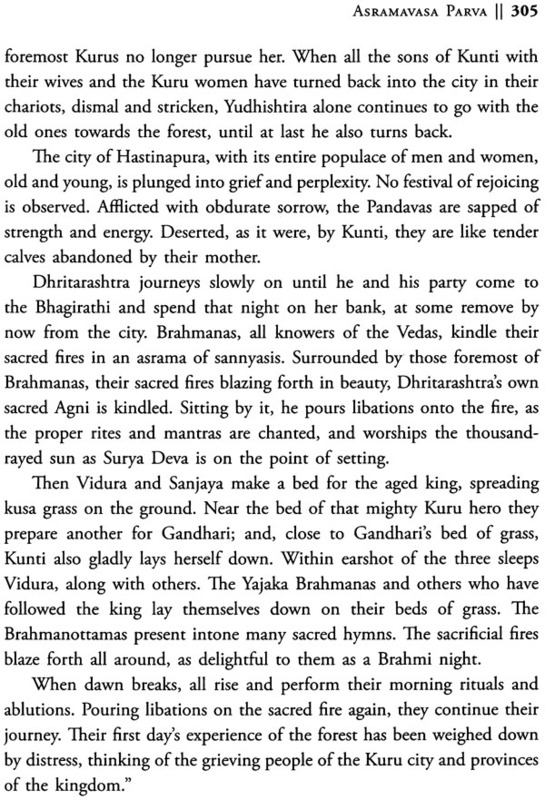 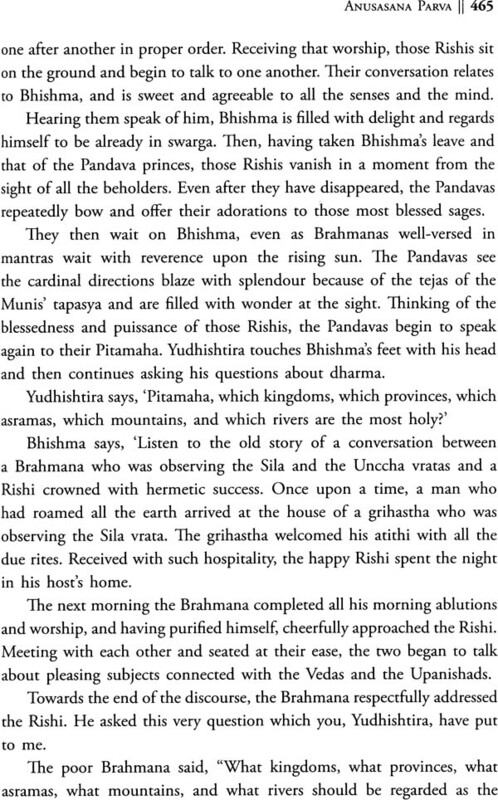 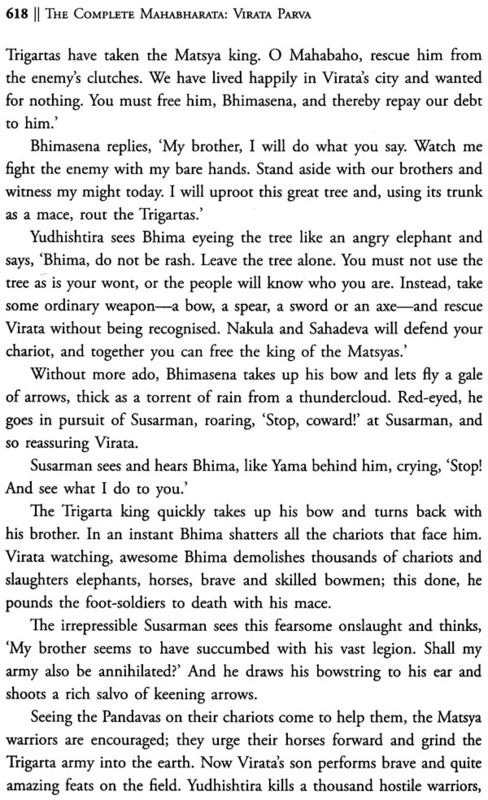 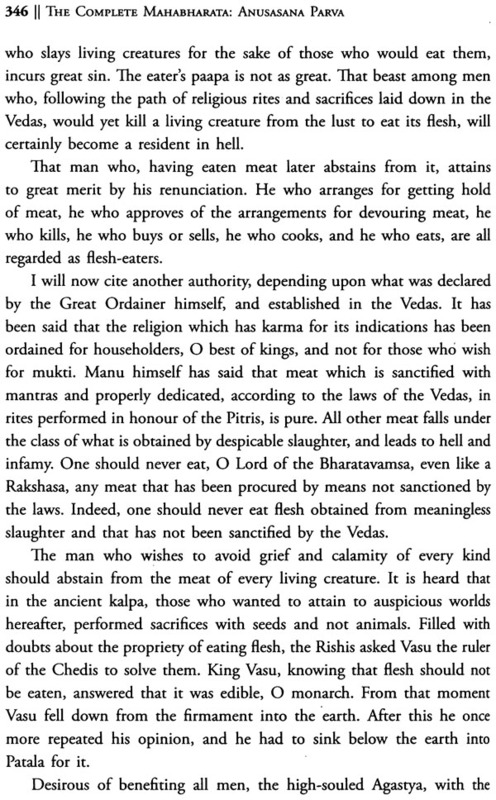 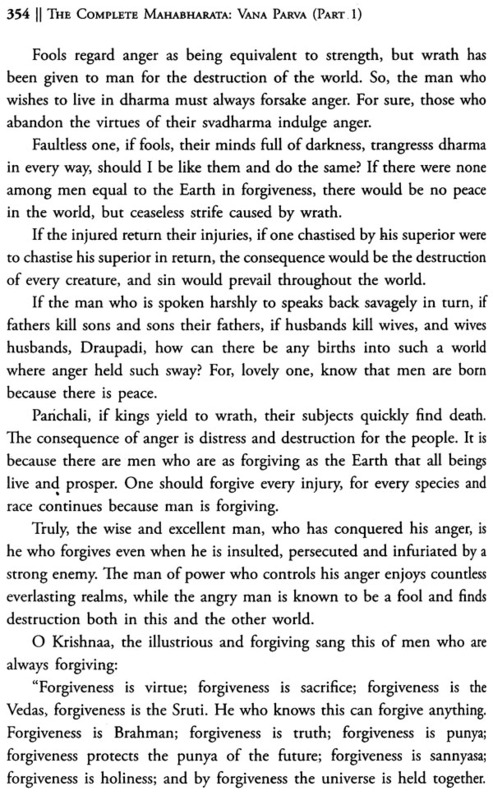 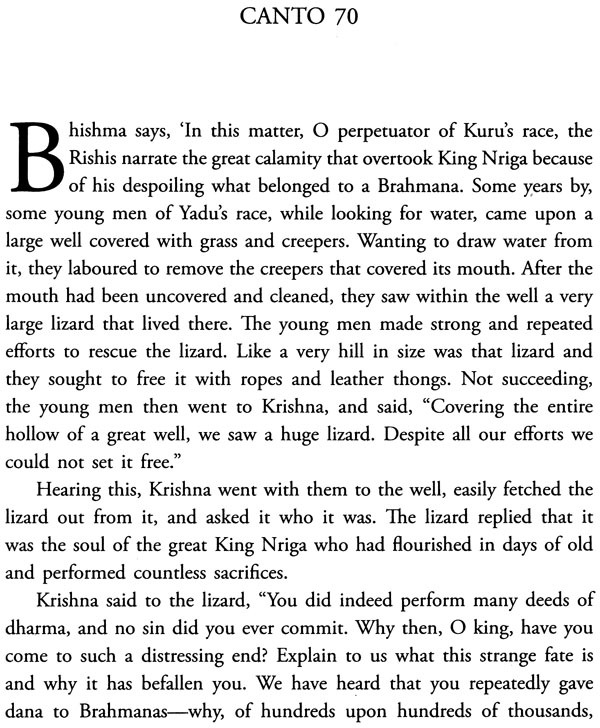 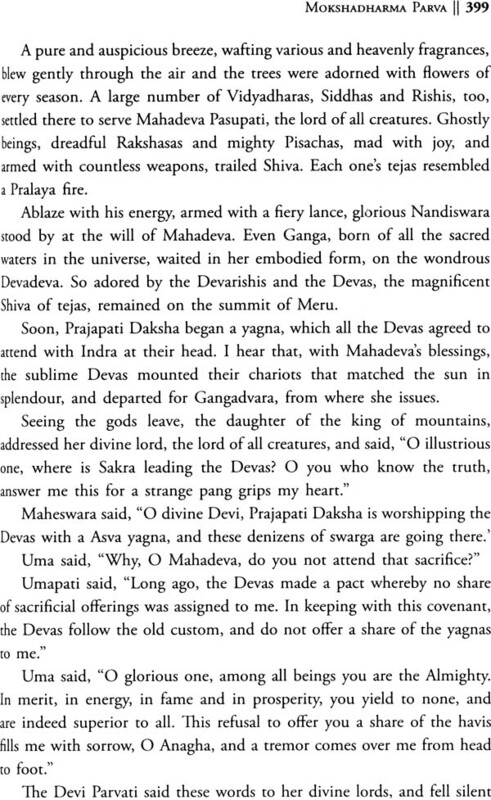 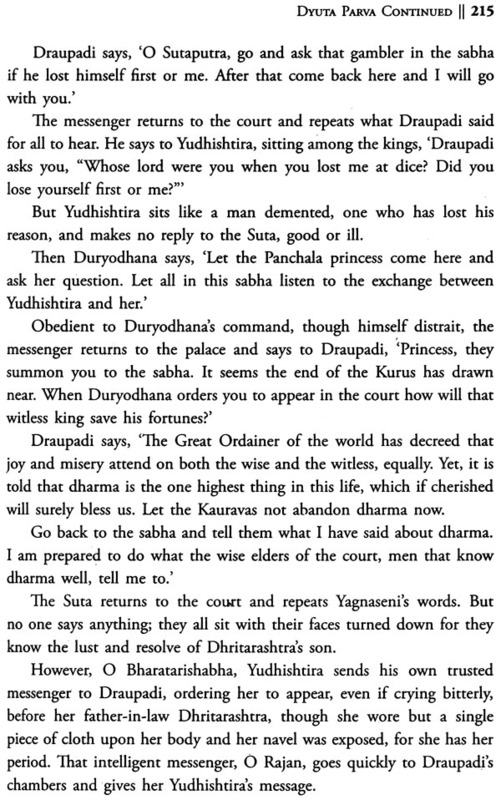 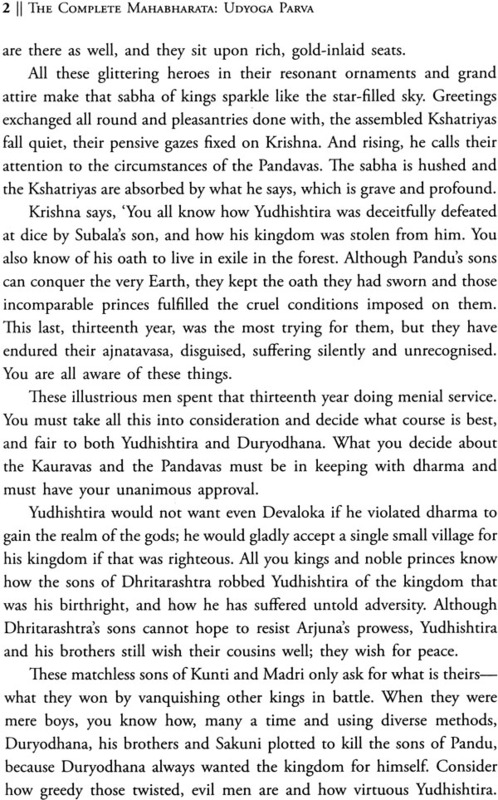 To the best of my knowledge, it still remains the only full English prose rendering of the Epic by any Indian. 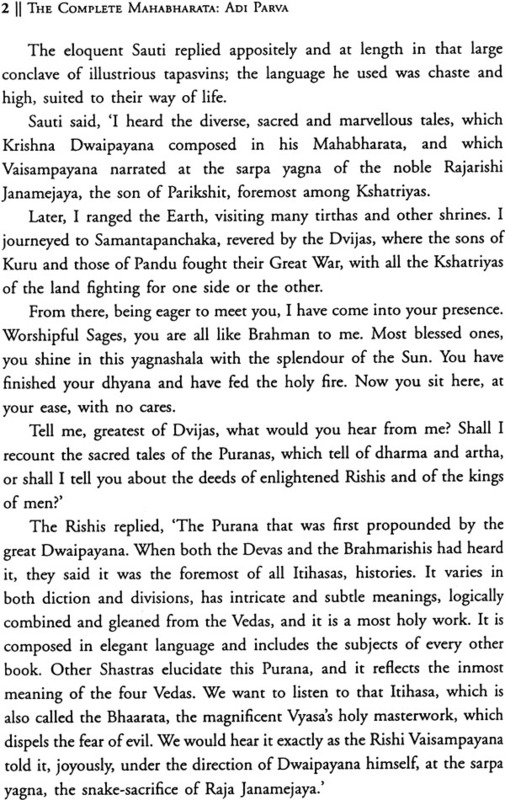 More than a hundred years have passed since Ganguli achieved his monumental task. 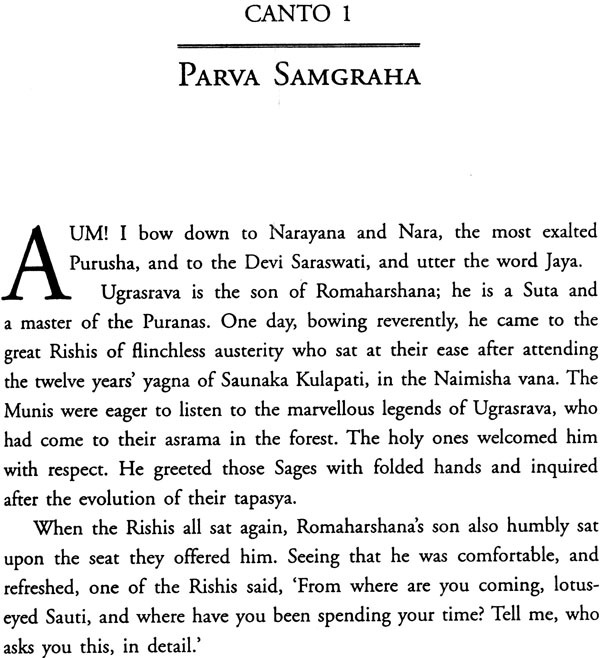 Despite its closeness to the original Sanskrit and its undeniable power, in more than a hundred years the language and style of the Ganguli translation have inevitably become archaic. 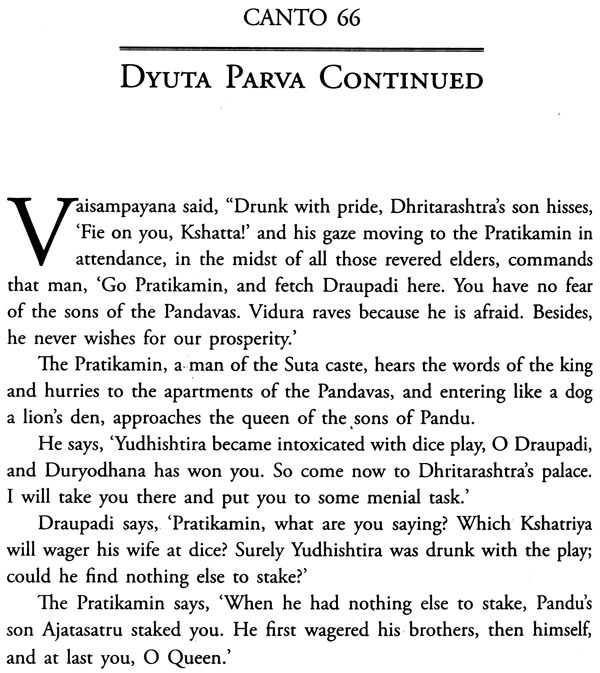 It seemed a shame that this most magnificent of epics, a national treasure, an indisputable classic of world literature, believed by many to be the greatest of all books ever written, is not available in complete form to the Indian (or any) reader in modern, literary and easily accessible English: as retold by Indian writers. 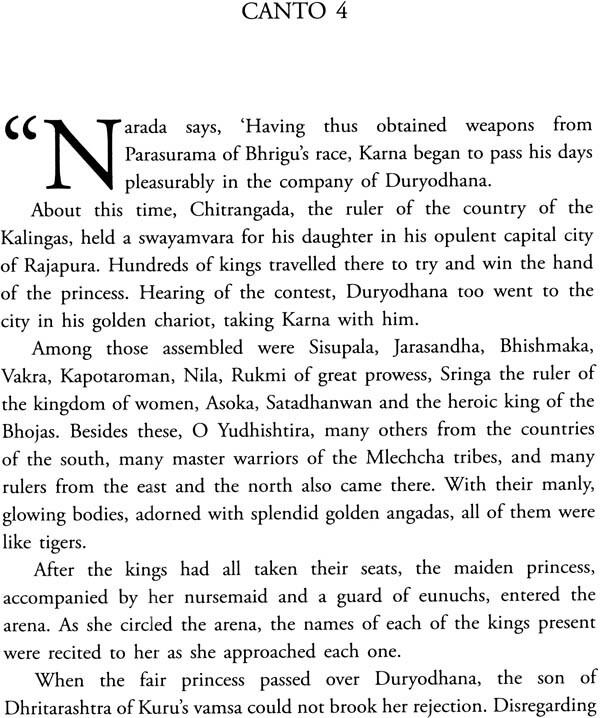 So we, a group of Indian writers and editors, warmly and patiently supported by our publisher Rupa & Co, undertook a line-by-line retelling of the complete Mahabharata, for the contemporary and future reader. 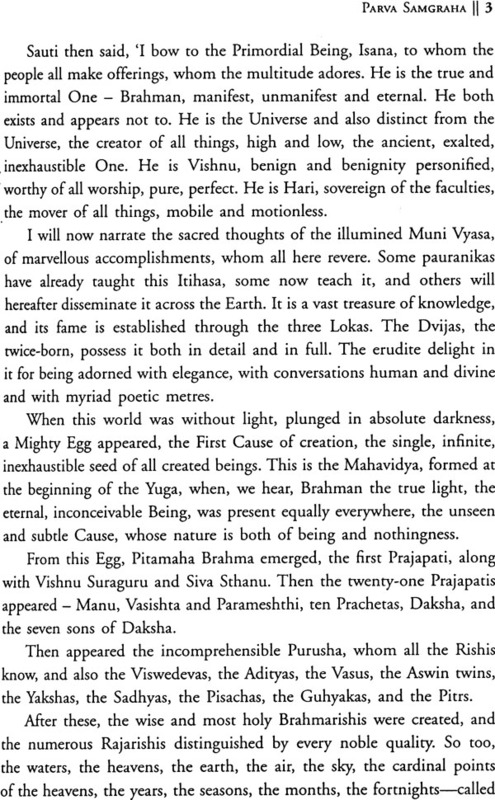 Our aim has not been to write a scholarly translation of the Great Epic, but an eminently readable one, without vitiating either the spirit or the poetry of the original, and without reducing its length. 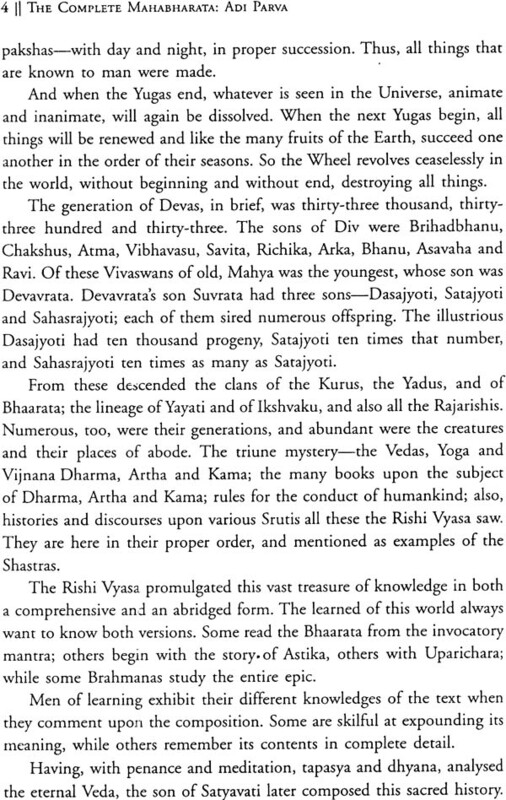 This is not a translation from the Sanskrit but based almost entirely on the Ganguli text, and he himself did use more than one Sanskrit version for his work. 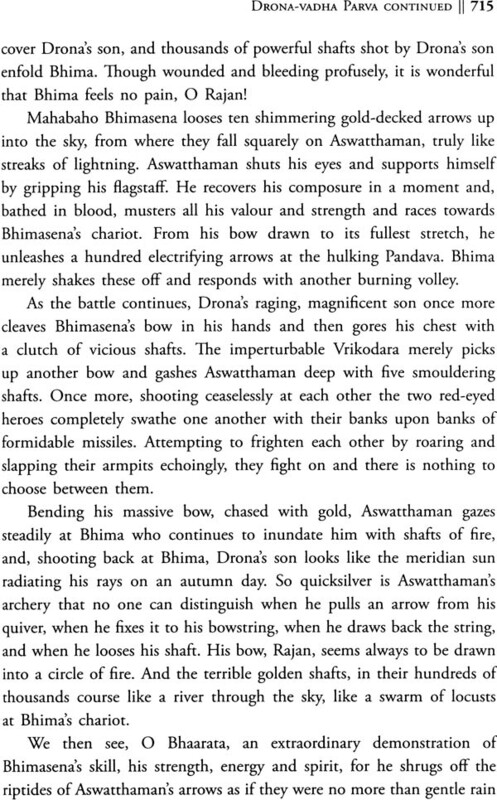 However, as will be obvious, the style of this new rendering is very much our own, and our hope is to bring as much of the majesty and enchantment of this awesome epic to you as is possible in English.